Description: Ross Mk 1 bayonet with rearward muzzle ring extension. 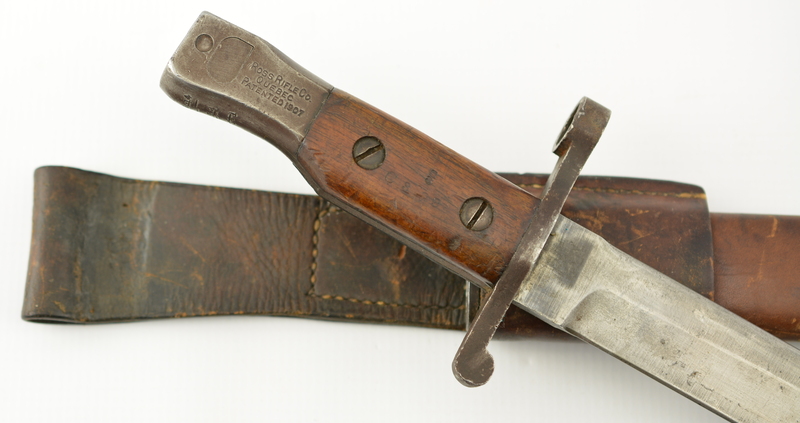 The piece shows an excellent blade and issue date Nov/1910. This example shows multiple issue markings. 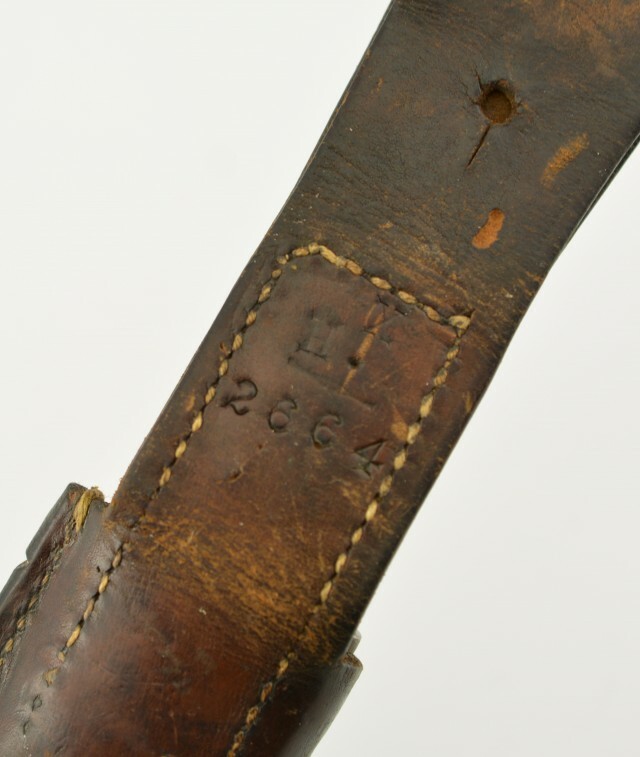 The right grip panel show C389, the spine shows 806, the bottom of the pommel shows a crossed off issue dated Aug/1914 28 #341 (North West Batt). 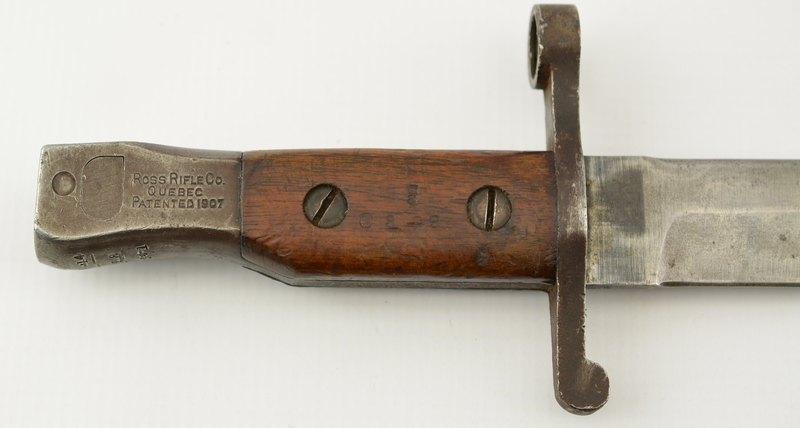 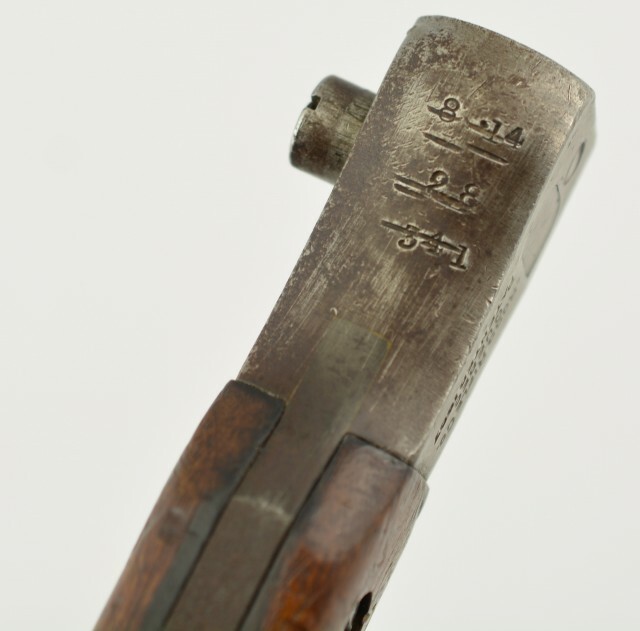 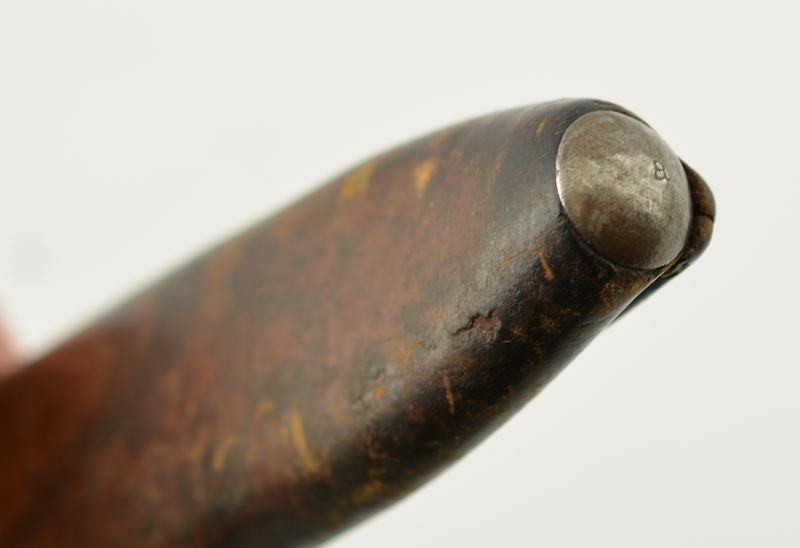 This bayonet rides in a MKII scabbard which is unit marked to the RRC issue # 96 (Royal Rifles of Canada.) 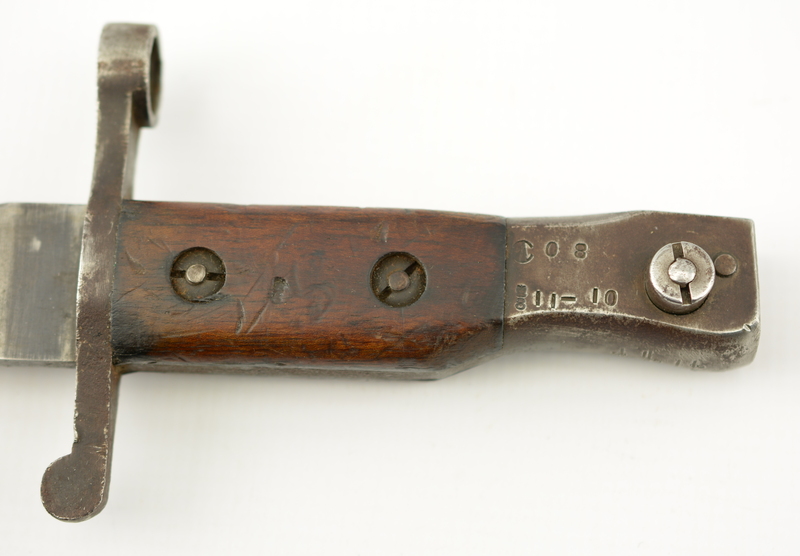 A sound example of WW1 Ross bayonet that saw service with numerous Canadian units Ref page 307 British & Commonwealth bayonets.